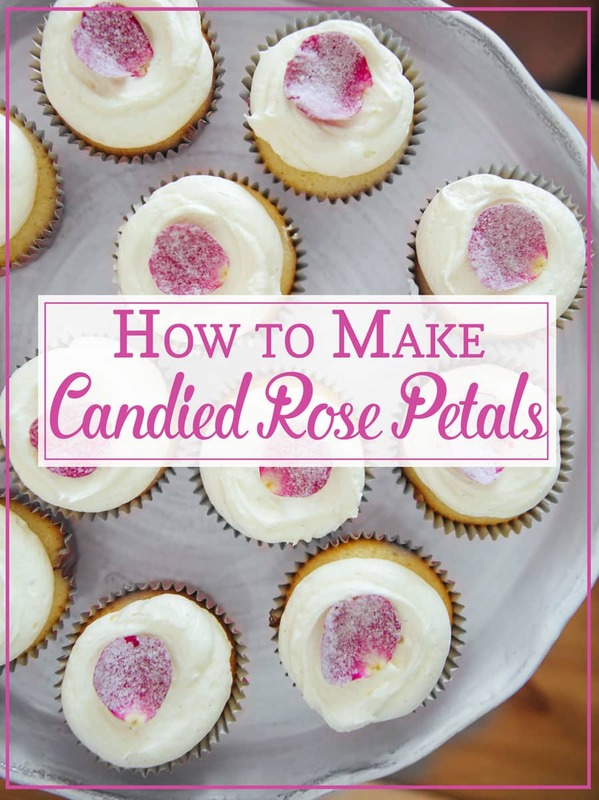 Candied Rose Petals are a perfect upgrade for homemade or store-bought cupcakes and cakes. Yes, they are actually edible and they take just minutes to make! One of the things I love about baking is that there are always new techniques to try. From the perfect pie crust to a French macaron with feet, there’s always something new to learn. Making candied rose petals has been on my list for far too long. 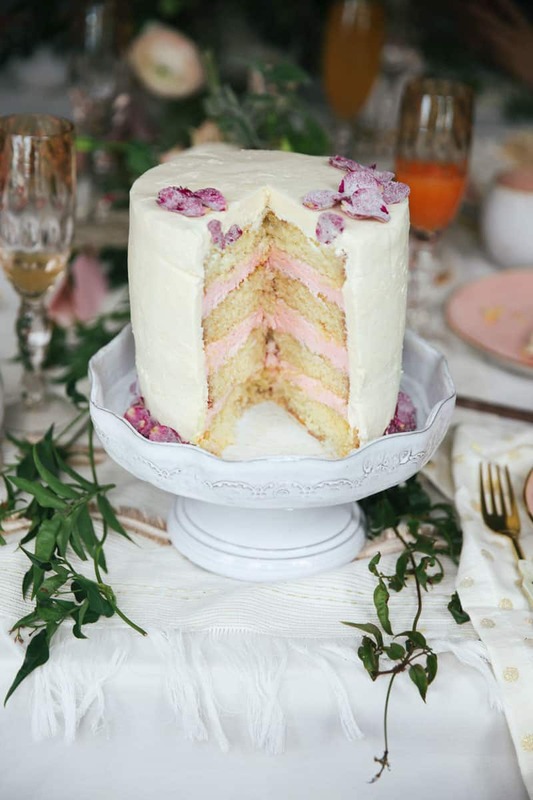 Many people don’t realize that rose petals are edible, and they actually taste amazing! They are the perfect addition to many desserts, from cakes to cupcakes to cookies. I used them to decorate some of the desserts I made for a Galentine’s Day brunch I hosted last weekend for some of my blogger girlfriends. They were definitely one of the highlights of the day and the small amount of effort left a really special touch. You’ll be able to check out the rest of the event very soon on the Anthropologie blog! The technique itself is so easy. Even if you’re a beginning baker, you should still try this! 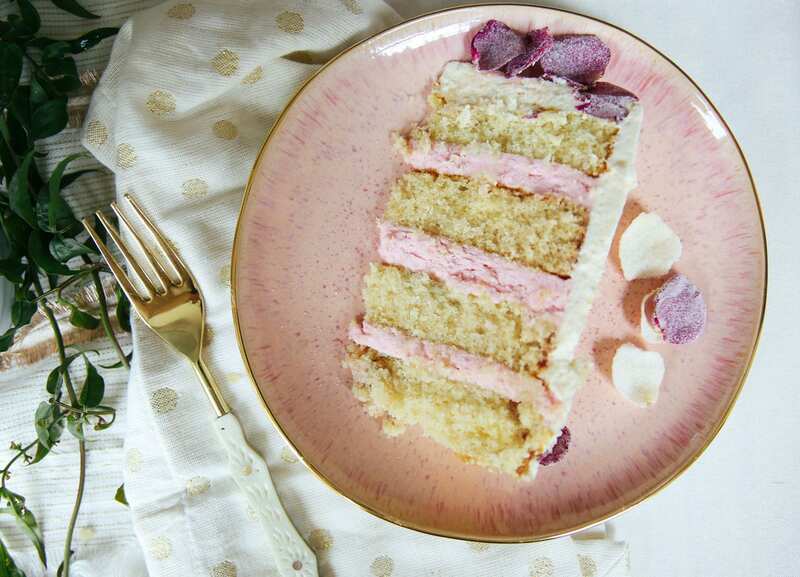 It’s also a fun way to upgrade store-bought cakes and cupcakes and give them a special homemade touch. It’s one of those things where a tiny effort reaps a huge reward. Gently separate the rose petals from the stem. Discard torn or blemished petals. 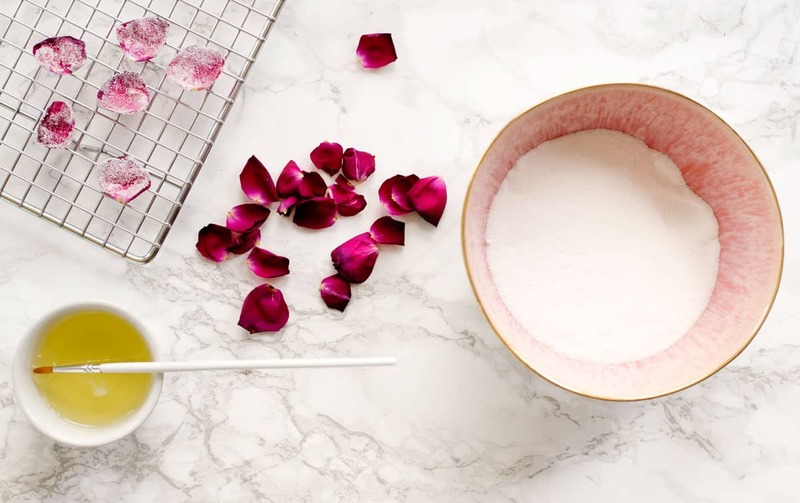 Paint both sides of each rose petal with egg white. 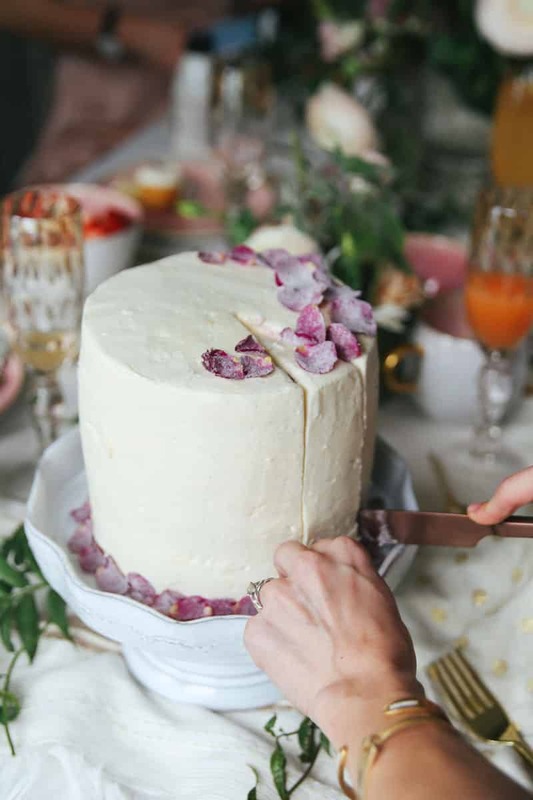 Cover entire rose petal with crystallized sugar and gently shake off excess sugar. Place on drying rack to dry overnight. Once completely dried, petals will keep in an airtight container for about five days. Use them as you wish, for decorations or to top your favorite cupcake or cake recipes. 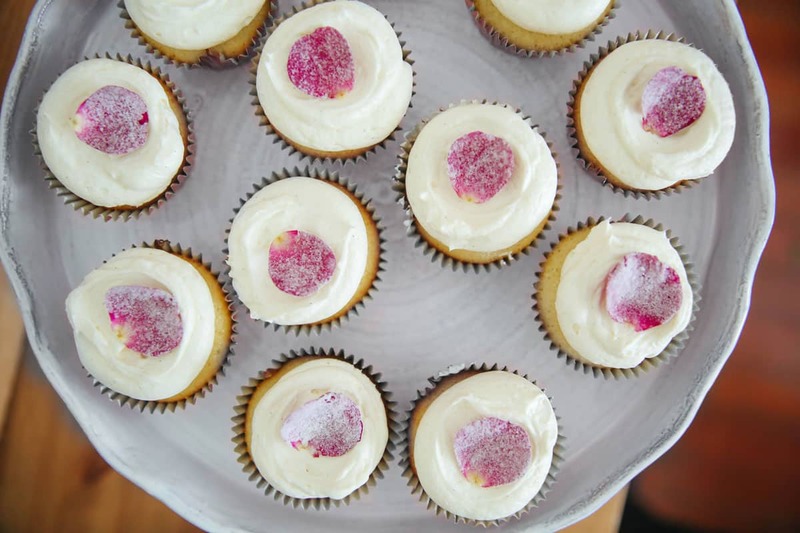 I turned my favorite vanilla cupcake recipe into a rose cupcake by adding 1/2 teaspoon of rose water to the batter.